A few weeks ago I received a (quite literally) dreamy media kit from Dermalogica that featured their newest, shiniest thing. It’s a skincare product that harnesses one of life’s most precious essentials – sleep – for the promotion of great skin. While we sleep our skin actively works to repair damage that has accumulated through the day, while also absorbing more actives. Chronic poor sleep is associated with accelerated skin ageing and less effective barrier function. In short, sleep is crucial to overall skin health - but sometimes falling asleep is the hardest part. But back to this nifty new beauty from Dermalogica, and how that can help with your sleep. Called Sound Sleep Cocoon, it is an all-new, nighttime-only, gel-cream treatment formulated with motion-activated essential oils. The scent of each of these oils – activated by massage - is associated with getting a great night’s sleep, which is vital for healthy, happy skin. Other key ingredients include Persian Silk Tree Extract, which reduces signs of skin fatigue and restores vitality, and Wu-Zhu-Yu Extract, which provides visibly radiant skin by the a.m.
Part of the genius behind this product is that rested skin equals happy skin. The better and deeper you are able to sleep at night, the better your skin is able to regenerate and restore itself from daily free radical and environmental impurity damage. As you sleep, Sound Sleep Cocoon works to reduce fatigued skin and restore vitality, and its heavenly texture is a joy unto itself. In addition, Dermalogica has partnered with NuCalm to put a restorative night's sleep at your fingertips with the new Sound Sleep App that is available here. It includes a unique musical track that uses patented technology to help induce relaxing, restorative sleep, a DIY Deep Sleep Massage video, information on how sleep benefits your skin and loads more. Use it in conjunction with the new Sound Sleep Cocoon treatment and you’re well on the way to the land of nod! To use, smooth Sound Sleep Cocoon all over your face and neck as the last step of your nighttime regimen, and allow it to melt into skin overnight. 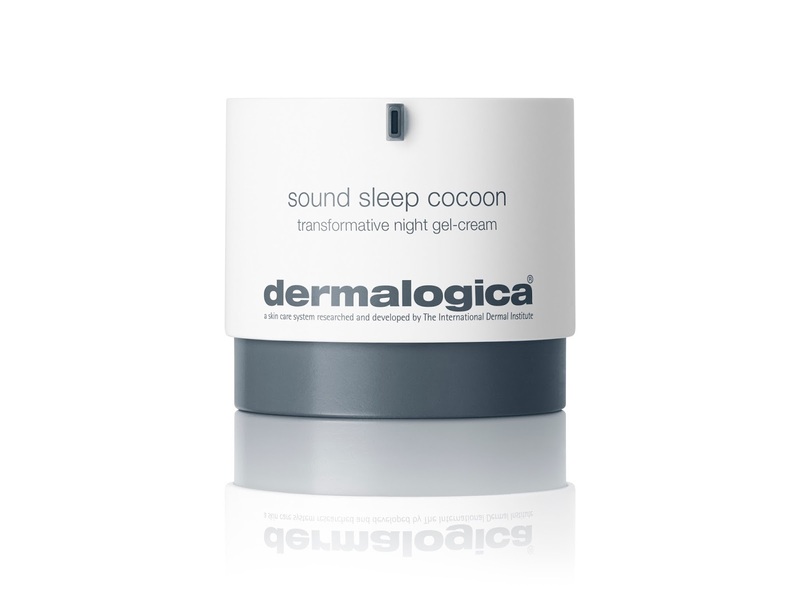 You can also apply Sound Sleep Cocoon you're your preferred Dermalogica moisturiser to further enhance overnight hydration. New Zealand sleep specialist Dr Alex Bartle from Sleep Well Clinics says, "Good quality sleep will result in healthier skin. Growth hormone is produced in our sleep that repairs and rehydrates our skin leaving it looking clearer in the morning." If that’s not enough reason to embrace all of the above then I don’t know what is. This baby is available from today, on counter and here, RRP $143.